If you’ve been reading this blog, you know we’re crazy about word clouds, a way to visualize text data that is mostly associated with social media content such as in blogs. However, they are also being utilized in other areas, and were even featured on a recent cover of Science magazine. As part of our new Social Media Toolbox series, we’ll show you how to use word clouds to understand how your life science company is found and perceived by your customers through search engines. Why do this? You of course know what your best selling products are. Do the needs or ‘pains’ these products meet align with the top searches that customers, or even non-customers, use to find your website? We did the below exercise with our partner site, the San Diego Biotechnology Network (SDBN), and made some useful observations. Below, we list the steps to create Google Analytics keywords word clouds, and show what can be learned. You will need to install Google Analytics (it’s free) and have at least six months of data to do this. Log in to Google Analytics and choose “Traffic Sources->Keywords” on the left menu. Choose a six month period using the calendar menu at the top right. Using the “Show Rows” menu at the bottom right, choose 250 rows. Go back to the top and click on the “Export” button at the top left (just above the word “Keywords” above the chart). Click on “CSV for Excel” and download. The Excel spreadsheet will contain your keywords (scroll down to see) in the first column, with the number of searches in the second. The first word cloud we’ll make will use the number of searches as a factor to determine the size of the words. In Excel, create a column between 1 and 2 and fill each cell of the top 50 rows with “:”. This will allow us to cut and paste into Wordle with a “:” separating the words and their weight, a format it requires. The resulting word cloud is below (click to enlarge). 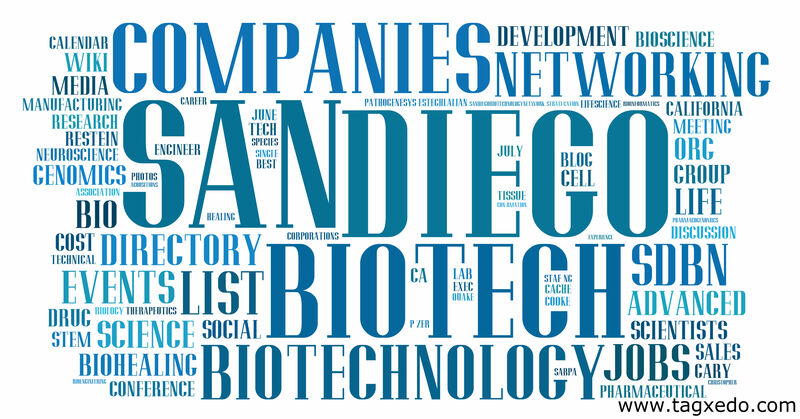 From this cloud, we learned that the directory of San Diego Biotech Companies is one of the major reasons people visit the site. The weighting helps us to understand this well, as most other searches are dwarfed. The above cloud considers the phrases people use to search, and is useful, but we also wanted to dissect the searches further and look at what words people use to search, taking advantage of analyzing the so-called “long tail.” For the next cloud, we did some trial and error and found that using the top 250 search terms worked best. Since we thought ahead and asked you to download these already, go back to your spreadsheet and copy and paste the 250 cells from column 1. We used a program called Tagxedo to create our “long tail” word cloud, as it has more options. Here, you can play around with the maximum number of words in the cloud, and we won’t give you the options we used as it will vary. This is a very subjective process, so feel free to massage the data (it’s OK!) to look for trends. Our long tail word cloud is below (click to enlarge). From this cloud, we learned that the word “biotech” is used much more frequently in Google searches than the word “biotechnology,” and that networking is very important. These two insights would have been lost if we hadn’t done the long tail word cloud. Build upon the biotech company directory. Consider ways to get more ROI and/or leads out of this resource. Choose the term “biotech” in web content over “biotechnology,” but include both. Ensure that SDBN events provide plenty of networking. The SDBN website is relatively simple with few products, so we analyzed the whole site, but Google Analytics has many ways you can slice and dice the data to meet your needs. You can also set up conversions to see which search terms are leading to sales. Do the word clouds for your brand, or product line, match what you expected? Your products may meet a customer ‘pain’ that you did not know about. Of course, the content on your site must provide ‘clues’ to the issues, one of the reasons we promote thinking about customer pain on a broader level. Word clouds are also great for sharing what you’ve learned with your group or the management. 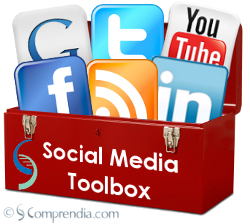 This post is the first in our Social Media Toolbox series, and we also cover Google and other applications in our Workshops and Training. Sign up for email updates so you won’t miss any of our tips and tricks.